The word “microbiome” is having its day as a health buzzword. Many doctors believe that the microbiome, or the composition and density of the bacteria colonies in one’s body, especially in the gut, is a good indicator of one’s overall health. But using microbiomes as a means to monitor health isn’t just applicable to humans. In recent years marine biologists have become increasingly interested in studying the bacteria that exists in and on the bodies of whales and other cetaceans to get a clearer picture of their wellbeing. And while human microbiomes are relatively well studied, scientists are only beginning to unravel the nature of the cetacean microbiome—and are doing so with the help of new technologies. Last year, for the first time ever, scientists published a study that had used a drone to identify an extensive microbiome in humpback whales’ blow, the exhalations they pass through their blowholes. Using their knowledge of a healthy whale microbiome as a diagnostic tool, scientists say, could better inform their understanding of whale disease, and that could have far-reaching benefits for the conservation of whales, many species of which have not fully recovered from current human threats, like entanglement in fishing gear, ship strikes, oil and gas development, military activities, disease, indigenous whaling and lethal research; and the gigantic historic whale-hunting industry. “If we can tell something about the health of a whale using a non-invasive tool like flying a drone over the whale to collect blow, then that information could be very valuable to the management and conservation of certain populations,” says Amy Apprill, associate scientist of marine chemistry and geochemistry at Woods Hole Oceanographic Institute and lead author of the study, which was published in the journal mSystems in October 2017. 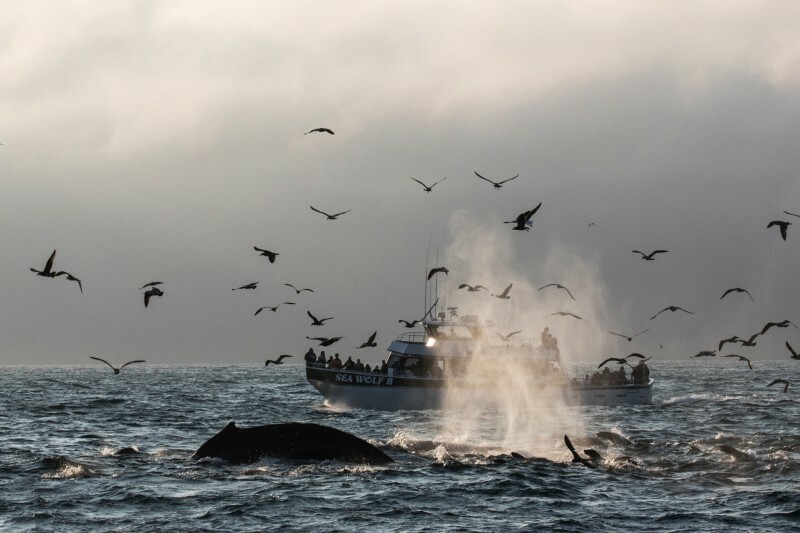 Apprill and a team of scientists found that different humpback whale populations off of Cape Cod and Vancouver Island share 25 of the same bacteria in their blow. 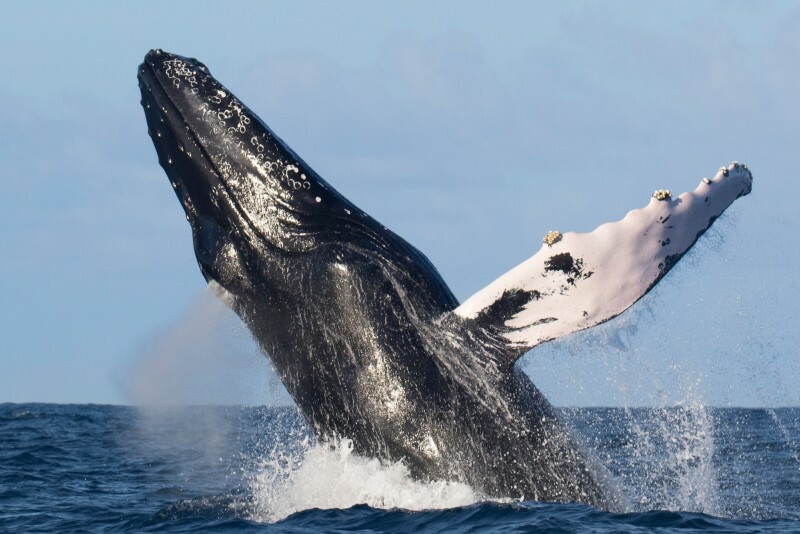 This, they wrote in their study, gives rise to the possibility of identifying unhealthy individual humpback whales by detecting variances from that microbial norm. If scientists detect unhealthy individuals in a whale population, wildlife managers can take steps to improve their chances of survival by reducing stressors from their lives. Some possibilities include removing fishing gear or averting shipping channels from areas whales frequent. The human body contains tens of trillions of bacterial cells. Most of these bacteria keep the body healthy, but some bacteria that colonize the body can be harmful and cause disease. Doctors have also noticed relationships between a person’s microbiome and their propensity for obesity, behavioral problems, mental illness and other health issues. Different bacterial cells call different parts of the body home. For instance, there are different kinds of bacteria living on the skin than in the gut. The location of a microbiome in a person dictates how doctors collect samples of it. Doctors often analyze the microbiome present in human stool because it’s abundant and easy to collect. Whales, being much larger than humans, contain many more bacterial cells—on perhaps the scale of tens or hundreds of trillions, even while seawater is believed to dilute the amount of bacteria that’s able to colonize whales’ bodies. Like people, whales have different microbiomes in and on different parts of their bodies, with the skin being a major source of bacteria. A decade ago, scientists began studying whales’ microbiomes by shooting them with buoyant skin biopsy darts from a crossbow. The biopsy darts have a sharp, hollowed end that takes a small tube-like sample of a whale’s skin and fat, or blubber, layer. After a dart hits a whale, it falls off, and then scientists scoop it up out of the water with a net to collect the skin sample. This is a fast and effective way to study whales’ microbiome, but it requires scientists to get up close to whales in boats and to shoot them with darts, which can be very stressful for cetaceans. This is why experts say it is preferable to use the relatively new method of studying the microbiome in the whale’s blow, which can be collected via drone. “The most impressive part of the drone-collection method is that it is non-invasive,” says Apprill, who noted that the greater a boat’s distance from a whale, the less stressed a whale tends to feel. The researchers report that most whales do not seem to pay much attention to drones. And that’s important, because whales are highly sensitive to stress. Scientists in both the Atlantic and Pacific Oceans have found that whales’ survival rates plummet when they’re exposed to common stressors, including loud sounds from seismic blasts for military and petroleum exploration purposes, entanglement in fishing gear, strikes by ship propellers, lack of food and more. Drones, while perhaps less stressful to whales, are not without their drawbacks: Apprill says drones cannot be flown in windy conditions, nor are they always successful at getting a blow sample if a whale has an irregular pattern of surfacing. Linda Rhodes, program manager of the Marine Microbes and Toxins Program at NOAA’s Northeast Fisheries Center, has collected and analyzed the blow from highly endangered killer whales in the Pacific Northwest using drones. She says this microbiome research technique, while still in its early stages, may have huge potential as a whale health-monitoring tool. But the key to making it possibly viable is conducting a lot more research. This entry was posted in Environmental, Featured, Local Loop, Spotlight. Bookmark the permalink. The audience wants to be informed, entertained, or excited. Copying their content can make embarrassing. Make notes if you have to, but never read your language. Reading this information So i am happy to exhibit that I have a very good uncanny feeling I found out just what I needed.